I just got back from a 10 day trip to China. Very interesting and modern looking cities. Most vehicles are new models which surprised me. 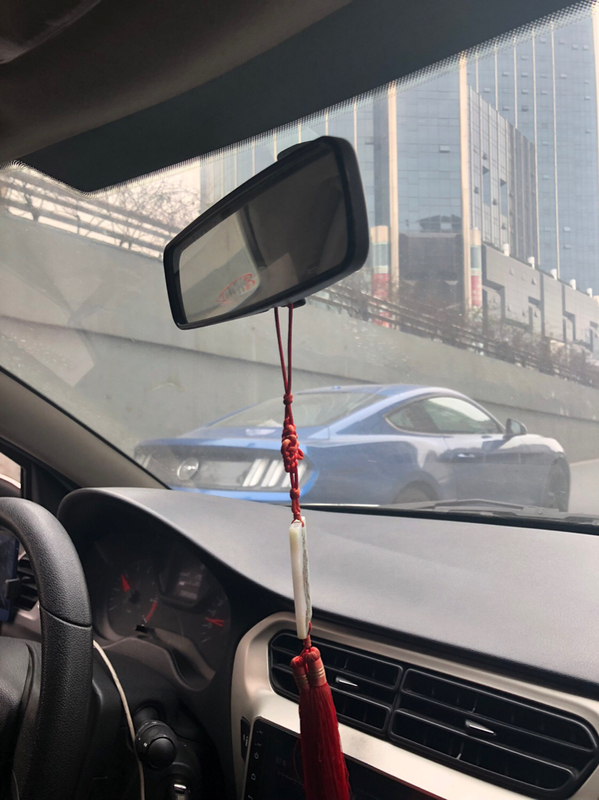 I spotted two mustangs (Chengdu and Beijing) but both happened to be newer models. Interesting, and very cool that you were able to snap some pics of Mustangs there. We have a regional sales manager that visits Shanghai and other Chinese cities quite often, and also a sales associate that is based in Shanghai. Pollution is pretty bad from what I have heard. I'd imagine that a good number of those newer models you saw were Chinese-made, and things we aren't seeing here just yet. Also I guess the Chinese market is the reason that Buick was saved and Pontiac got the ax back when GM had to shed some divisions. I'd imagine that only the wealthiest of people there would be able to participate in the classic car hobby. I lived and worked in China for 17 months. They bought several of my Mustangs and paid for my home and garage, lol. Most have the wrong picture of how it is in China. They are way ahead of the U.S. in my opinion. I got to go places most do not while there since I worked for a Chinese company. You cannot just walk up to a place and get in you have to have an invitation letter. I had to pass a physical each year there and could have absolutely no issues. You got an official document saying you did not have aids. If you did they took you straight to the airport and you were gone. Ford does not build the Mustang in China I do not think. Yes China did save GM for sure the black Buick was the best seller there for years. When I was there the Ford Focus was biggest seller. The people are not as poor as everyone thinks but the are frugal for sure. They use to go through my garbage and get anything that could be recycled out to sell. I was the engineering manager at a large tool & die shop and we could do tooling in half the time or less than if in the U.S.. I worked in about every large dies shop in Wisconsin, Michigan, Ohio and such. None can compare to what they have in China. China does not wait for the business to come to them before they build. They have factory complexes already built and ready so when something comes up they can move in tomorrow. Yes it is Communist but very lax. You can buy apartments but not really own them. I think it was like a 90 year ownership. I saw more high end luxury cars in China that all my life in the U.S.. I have a newspaper article about how many millionaires there were in Shanghai. Seems like one out of every 320 people in Shanghai is a millionaire. The head designer at out plant was in his forties and he had three kids. Yes you can have more than one. He got bonus for jobs that came out on time and within budget. He was the best designer I have ever worked with anywhere. Twice as fast as anyone I ever knew. I worked with one in U.S. that came in second in the Catia design competition in U.S. and he could not hold a candle to the Chinese guy. His salary was over one Million U.S.D. a year. 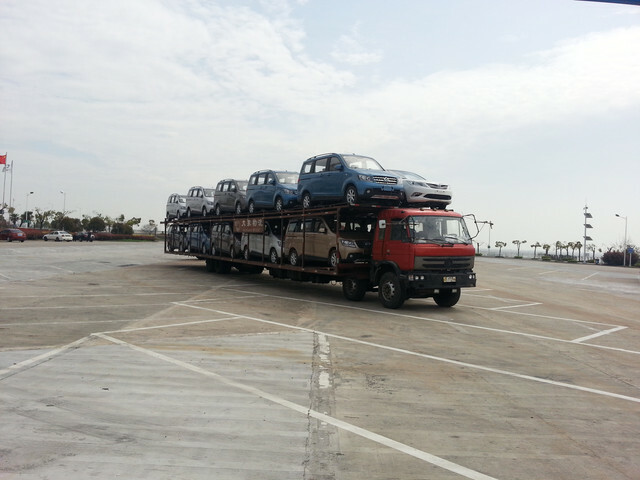 You cannot take a classic car to China or that is what I was told. They do import a lot. My son works at BMW in S.C. head inspector and he said China is one of the biggest buyers they have. 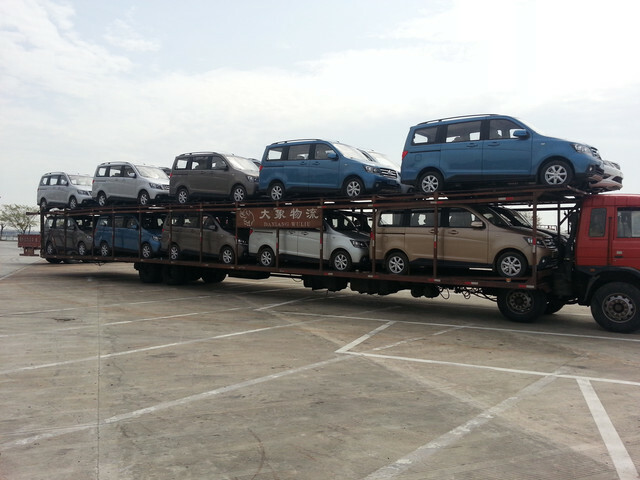 The number of cars sold in China each year is more than the U.S.. It is somewhat limited by the government. License plates are like a lottery item there. You cannot just go out and get one. I managed to get one home hanging in my garage. I was told if they caught me at the airport with it they did not know me. A police officer that was a friend of a Chinese coworker got it for me. The Chinese are neither poor or stupid and most live better than we do here. They get more paid holidays in China than in U.S.. They also get a year end bonus of one months salary. I got it also. I was paid $9,000 a month after Chinese and U.S. taxes and I only have a high school education and two years of tech college and some engineering classes. Show me where I can get that in the U.S.? There is no such thing as a check in China. They pay you with cash and the largest bill they have is 100 RMB or when I was there about $15.00. They would hand me a bag full of 100 RMB bills each payday, lol. I could not have a bank account there so I pinned the money to the curtains in my apartment. Each time I came home I would bring $10,000 in cash with me. Someone from accounting would go to the Chinese bank with me and I would have the stacks of RMB and they would run through counting machine the checks for counterfeits and counts. They would then give me brand new $100 U.S. bills. When I got the bills with the blue stripe I took to my bank in the U.S. and when the teller saw them she ask where I got them. They had not got the new bills yet but they were already in China, lol. All the tellers came to look at them and of course they ran them through the counterfeit machine and they were good. Everyone should go live in China and get the real story. I enjoy it there. Yes the pollution is horrible but most comes from the people. The buses and taxi all use CNG. All the mom and pop street vendors use charcoal to cook with on the street. So you put millions of grills out there and it gets really bad. Government cannot just stop them it is their living. They do close schools and airport when it gets really bad. I have seen it so bad you could not see the street lights. When I came home I had sinus surgery to clean my head out. I did wear masks when out walking in town. I never saw a blue sky day while there. I think I flew to China about 12 times. The flight to Africa is longer, lol. Wish I had gone there years ago would have more Mustangs now, lol. 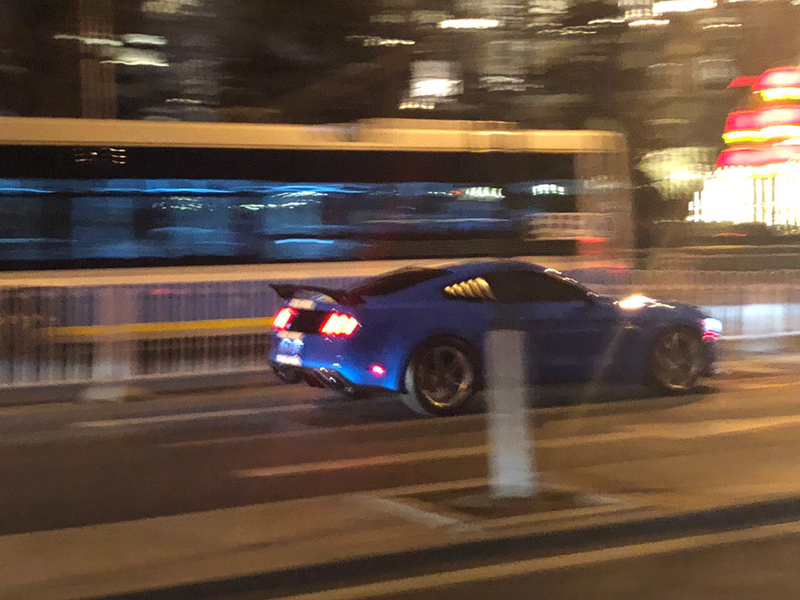 (03-18-2019, 02:10 AM)donkost Wrote: Interesting, and very cool that you were able to snap some pics of Mustangs there. We have a regional sales manager that visits Shanghai and other Chinese cities quite often, and also a sales associate that is based in Shanghai. Pollution is pretty bad from what I have heard. I'd imagine that a good number of those newer models you saw were Chinese-made, and things we aren't seeing here just yet. Also I guess the Chinese market is the reason that Buick was saved and Pontiac got the ax back when GM had to shed some divisions. I'd imagine that only the wealthiest of people there would be able to participate in the classic car hobby. Funny thing about pollution..... it was very clear while I was there. Their legislators were meeting and the locals told me they shut down their factories when they meet so the air is clean. This way any any photos or press videos would look clear and clean. 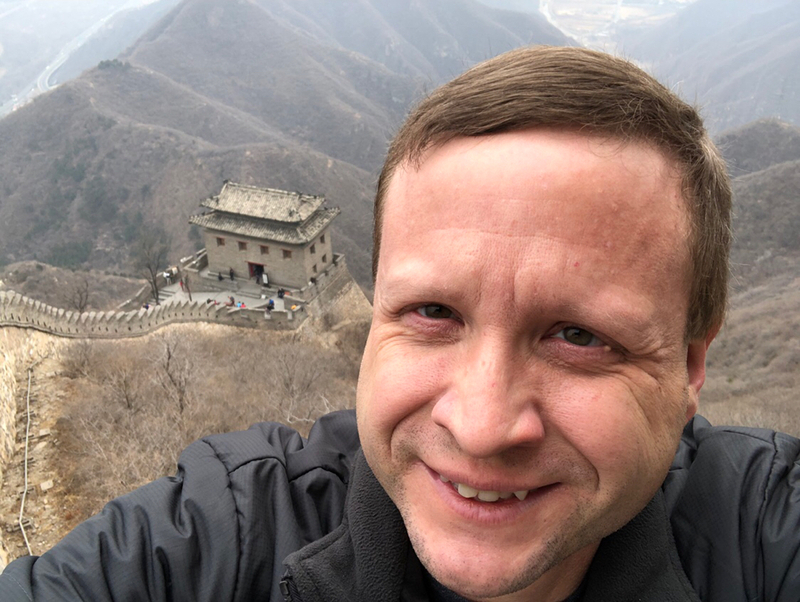 (03-18-2019, 11:52 AM)Carolina_Mountain_Mustangs Wrote: I lived and worked in China for 17 months. They bought several of my Mustangs and paid for my home and garage, lol. I did get to see and do some cool stuff. Did you go to the underground in Shanghai? 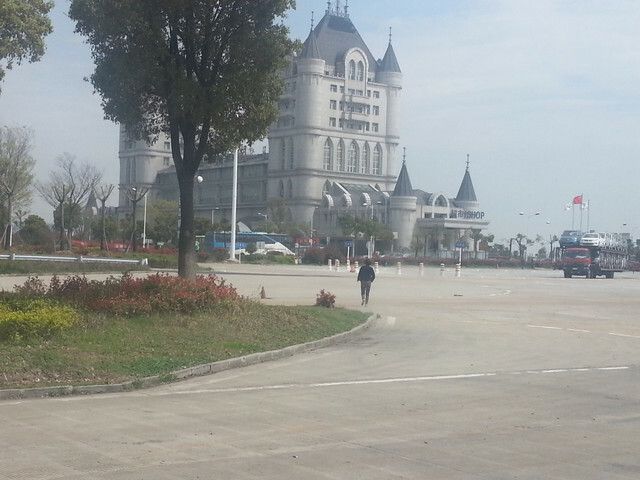 That is the huge subway station that has the hundreds or thousands of shops where they sell all the counterfeit stuff. They use to call me the crazy American there, lol. All the gals back home wanted the fake handbags. The driving would make most here close their eyes for sure. I guess you saw there are no stop signs, yes red lights in town but not at every intersection. When you get to intersection you just go. In 17 months I never saw an accident at an intersection so it must work better than stop signs. I thought it was interesting that road signs were in English and Chinese. The grocery store is like a zoo with lots of live animals, fish, snakes, eels, and such. I never got to tour much was either working or traveling back to U.S. or Germany. Did go to the Yellow Mountains. Most rugged area I have ever been and I have been all over the western U.S.. Only way in was to walk to the hotel for miles. You paid a porter to carry your bag and you could pay them to carry you also. I myself enjoy going to other countries and spending time. After people get to know you they wave and want to practice their English. The kids would come sit with me when out to eat and talk English. Some parents told me that once the kids learned English they did not want to use Chinese anymore. Can't imagine learning the over 5,000 characters in their alphabet. Cain't remember what they call the language they use when typing on a normal keyboard. On the license plates the numbers determine if you can only drive the surface streets in town or be able to get on the freeway. The high speed trains were fantastic for sure wish we had them here. Elevated so no crashes with cars or animals possible. Subway in Shanghai was packed always but also fast. The locals said the Great Wall had to be rebuilt that it had crumbled to just a heap in most areas. Some locals think the terracotta warriors were fake also, lol. 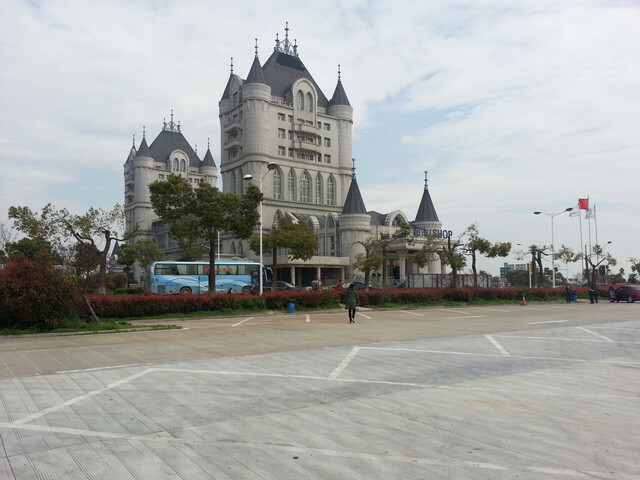 Here is couple pictures that amazed me made at rest area on the freeway between Shanghai and Wuxi. The truck went across scales to get on the freeway so it is legal. Look at the drive wheels on the truck. Looked like Disney in the distance. That is about as clear a day as you would see. I'm sure it is a fascinating place with thousands of years of history. The only other comment that I'll make is that they are stealing intellectual property like it's going out of style. I have worked in IT for 33 years and the majority of malicious internet traffic bounced from our firewall is from China, as well as the majority of malicious spam blocked by our e-mail security gateway. They are trying to systematically hack everything in the Western world so they will have the know how to create just about anything. Granted, even with the procedures to make things it remains to be seen if they have the ability to execute those plans. Even after Microsoft dropped support for Windows XP in 2014 everywhere in the world including the US, they continued supporting it in China due to the many millions of pirated copies which were running (many there are still running it). Microsoft figured it would be better to still issue support patches to Chinese Windows XP systems rather than having even more viruses running rampant around the globe from millions of unpatched computers. Oh I totally understand the issues. It is too late now. All of the heads of American companies that forced their buyers to go off shore are to blame. How many computers are built in the U.S.? Even IBM went to China and set up their cloud. I think they are ahead of U.S. now and South Korea is also. Their phone systems are way ahead of U.S.. While I was there I had a VPN so I could go anywhere on the net I wanted. Would listen to music from youtube a lot. They had never heard of Pink Floyd, lol. I thought it was odd that my AT&T phone worked in China and Africa without doing anything. I never answered or roaming charges would have been horrible. All of the CNC machine we had in China were either Chinese or South Korea. There was nothing from the U.S.. The only thing you see in China from U.S. is cars or when you go to a DQ the ice cream equipment was made in the U.S.. I would estimate that 80 - 90% of the tooling for U.S. cars is built offshore. The U.S. and Canada cannot compete. I will have to search for some pictures of tooling we built while I was there. If I had not been there and seen it I would never have believed how quick they can react. We built one set of progressive and transfer tooling for a BMW part used in S.C. and we built for a Canadian company. They forgot the part and came to us and paid compression charges. From day the BOM hit the shop floor until the first part was made was 21 days. The quotes in U.S. was for months. Every part was machined in one day. This is a huge die not some little part ran in 2,000 ton press. As far as stealing intellectual info I do not think there is any left here. The Chinese did tell me that there are places in China that employ thousands of people that do nothing but hack all day every day and they are good at it. Most computers from China have a back door built in so they can access once in the U.S.. The last Dell computer I ordered I placed order on Monday and it came on Saturday and was built in China to order. Enough hacking on this vacation post, sorry.